Let Freedom Home Care Help You Get Up to Speed on Preparing for A Cozy (and Safe) Winter Season! Though the winter season certainly has some undeniable power to create a picturesque wonderland, it’s important for us to remember that with the beauty of cold weather also comes much season-specific danger. 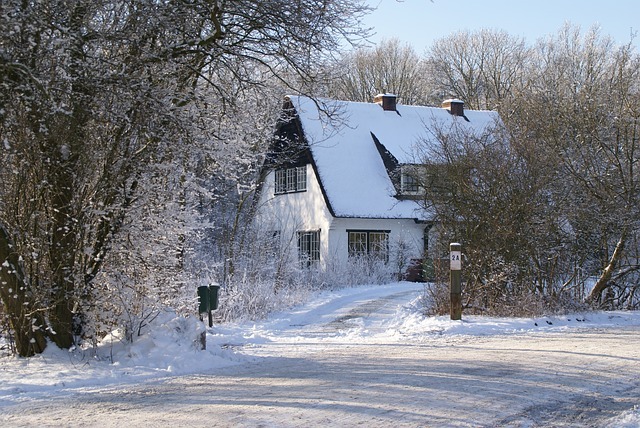 When preparation makes all the difference between cozy comfort and a host of imposing winter dangers, there’s no doubt that it’s worth taking some time to plan for the best possible holiday season a bit ahead of the icy curve. In the spirit of preparation and of a truly enjoyable winter season, the folks here at Freedom Home Care have organized some of the most common risks, and some preventative measures, into a convenient list to help you get your checklist in order before the big freeze. Of course, most of us are familiar with many of the biggest dangers of cold weather, but it’s also true that that same familiarity can often cause us to forget about the seriousness of risks that they present. The more obvious dangers naturally include exposure to cold weather, which should always be addressed very seriously with clothing layers that always cover the hands, feet, head, and mouth. Slippery ice begins to show up at every turn at this time of year too, and should be proactively met with insulated footwear with dedicated non-slip treads. Further, seniors should be sure to be equipped with new cane and walker tips to further lessen the chance of slipping or losing balance. Less commonly addressed may be the danger of ice outside becoming water inside, which can lead to dangerous, slippery conditions in the house. By being prepared with mats, towels, or brushes, seniors can do a lot in helping to prevent slipping both inside and out. In terms of common details, it’s also important to remember the health and safety of vehicles in the winter season. Making an effort to service your car before bad weather hits, checking fluids, battery, and wipers, can mean all the difference in avoiding danger when seniors take the wheel in cold weather, too. Similarly, it’s important to be sure to check the function of fireplaces, gas heaters, and lanterns in advance of the winter season. Don’t hesitate to buy a new carbon monoxide detector to gain some extra security for your health and home on that matter. Further, it can be greatly worthwhile to prepare for the possible power outages that are the common result of winter storms. Where it may only present an inconvenience in mild weather, a long power outage can mean the difference between health and serious risk in the winter. It’s recommended that you keep a stock of non-perishable food on hand, to remember to bundle up as soon as the power goes out, and to have easy access to both flashlights and battery-powered radio in the event of being stranded without the usual amenities. Relative to some perhaps lesser-known dangers in the winter season, it’s also important to think about personal health in more than an immediate fashion. First, some folks may not realize the particular importance of eating a well-rounded and varied diet in the winter season. Due to more time being spent indoors, it’s a necessity to supplement the diet with foods that provide vitamins, particularly the vitamin D that is usually absorbed from sunlight. Be sure to keep vitamin-rich foods like milk, fish, and whole grains available both regularly and for emergencies. If your senior needs assistance with meal planning, we can help! Similarly, the winter is known for often inspiring what is known as SAD, or Seasonal Affective Disorder, the specifics of which can often lead to feelings of isolation and depression in the cold season. It only goes to show the importance of staying connected and active with loved ones as much as possible through these months! With that, we hope you’ll be on your way to a lovely and cozy holiday season with the people around you, and that you’ll be sure to stay up to date with us here at Freedom Home Care for all of the news and tips you’ll need to keep making life as a senior citizen better than ever before!